SO you don't want a big wedding... i'm totally cool with that! 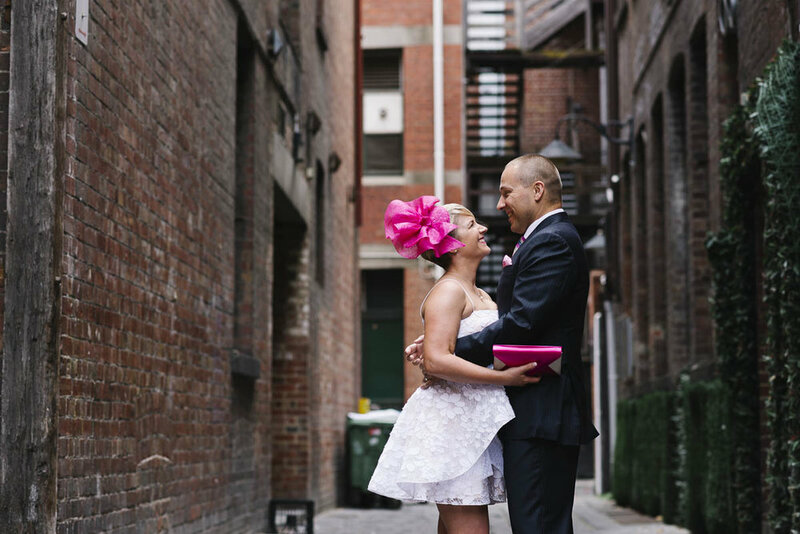 Elopements seem to happen all the time in Melbourne and I love them. Having just the bride and groom maybe some close friends to witness a small intimate wedding are so special to photography. Over the years i've photographed many elopements and love to offer an affordable mid week packages to suit everyone from the couple who just want a few snaps to the couple who want a full on photo session all around Melbourne. Elopement pricing is available Monday- Thursday but if it is close to the date of the elopement they may be considered on Friday-Sunday in no other wedding is already booked. Also Winter... thats a great time to elope as well and generally I can cater for weekend elopements then too. Prices start at $375 for a full detailed price list please head to the contact form and let me know what you have going on!